Anthony J. "Tony" Coleman Sr.
ORANGE- Anthony J. “Tony” Coleman Sr., 57, of East River Street, died unexpectedly at Athol Hospital on Friday, March 15, 2019 after being stricken ill at home. Born in Keene, New Hampshire on January 9, 1962, he was a son of Leroy and Stella (Garfield) Coleman and grew up in Orange and attended Orange schools, including Ralph C. Mahar Regional. On January 1, 1988, Tony married Marie (Piaseczny) and have enjoyed over 31 years of marriage. Employed by the Orange Highway Department for many years, Tony had also worked for Wal-Mart. 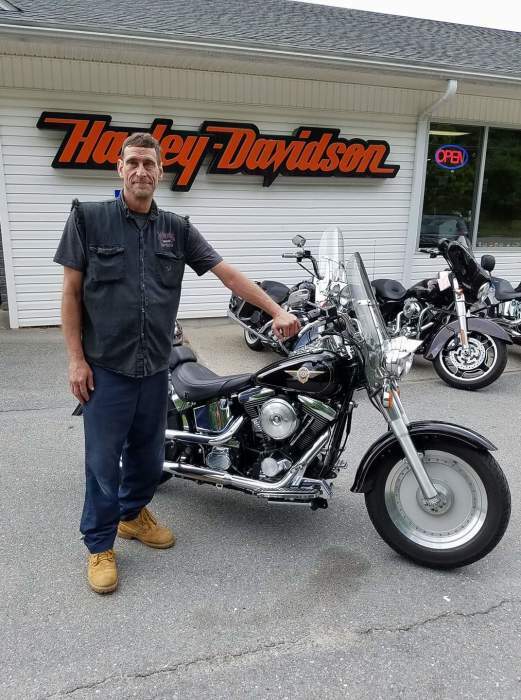 A motorcycle enthusiast, he loved riding and working on them. He was very mechanical and could fix just about anything. Tony had also enjoyed fishing, as well as building model cars and helicopters. Tony leaves his loving wife, Marie Coleman of Orange; children, Anthony J. “AJ” Coleman Jr. of Maine, Christopher Coleman and Melissa Coleman, both of Orange, Alicia Coleman of Webster, Joseph Coleman of MA and April Coleman of MA; grandchildren, Kaden and Julia; his mother, Stella Fontaine of Orange; his siblings, Andrew Coleman of Orange, Timothy Coleman of Athol, Tina Lindhorst of New Braintree, Terrance Coleman of Orange, Allen Coleman of Athol, and Laurie Burns of Fitchburg; his aunts and uncle, Joan and Norman Gates of Orange and Patricia Alexandria of New Hampshire; many nephews, nieces and cousins. Tony was predeceased by his father as well as his step father, Charles Fontaine. Calling hours will be held on Saturday, March 23, 2019 from 2-4 p.m at Witty’s Funeral Home, 158 South Main Street, Orange. The family suggests donations in his name to Witty’s Funeral Home, 158 South Main Street, Orange, MA 01364 to assist the family with funeral expenses.